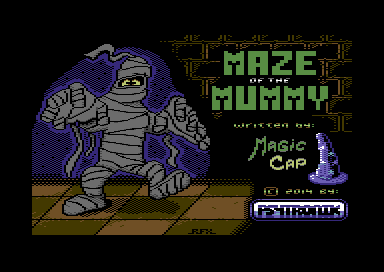 Psytronik Software in association with Magic Cap present an exciting new release for the C64 - MAZE OF THE MUMMY! 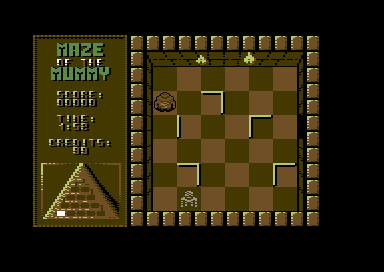 Featuring 15 Pyramids to explore (255 playable levels in total!) 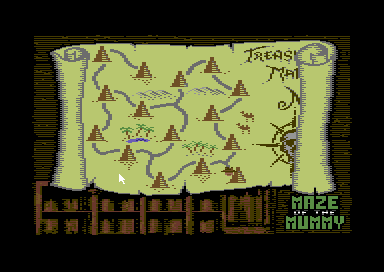 there's plenty of adventuring fun to be in your quest for treasure! 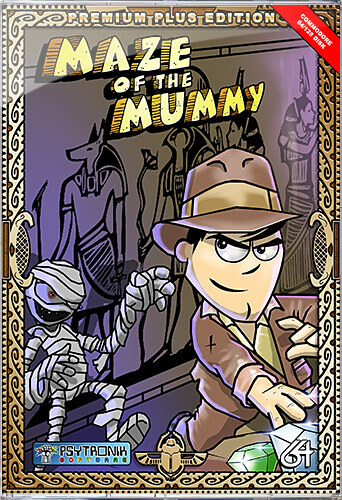 Use your wits and cunning to outwit the dreaded MUMMY lurking in his maze as you attempt to find 15 pieces of treasure. 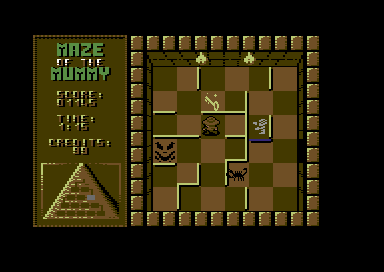 Avoid the deadly SCORPIONS that patrol the rooms and search for keys that unlock more sections of the Pyramid. 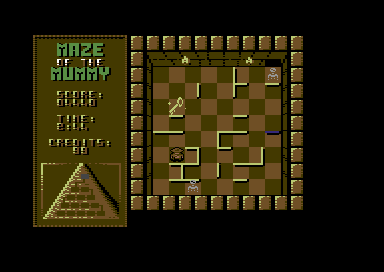 Untold treasures await you if you are brave enough to enter - THE MAZE OF THE MUMMY! Premium+ C64 disk - presented in a clear plastic case with double-sided full colour printed artwork. • Single player arcade action! • 15 separate pyramids to explore!